What's So Special About The Kennington Loop? James FitzGerald What's So Special About The Kennington Loop? It is beneath London’s pavements that the world’s most thrilling contest for survival unfolds day after day. The Underground nurtures players who move quickly, think on their feet, act decisively. Seconds, not minutes, dictate its rhythms; staff report that even their tea-breaks are timed precisely. To advance up the Victoria line is a rewarding ladder; to slither down the District Line is a nasty snake indeed. A spin on the Circle line’s wheel-of-misfortune is a perilous thing; Monopolising a seat on the Piccadilly line while passing by Park Lane and Mayfair is a joy unbridled. On the Northern line are more secrets, shortcuts, and survivors than anywhere else on this big and bewildering board game. All moves on the Underground are normally final. But at Kennington — only at Kennington — there is one kind reprieve from the sheer violence and one-upmanship. Here, there's a second chance. 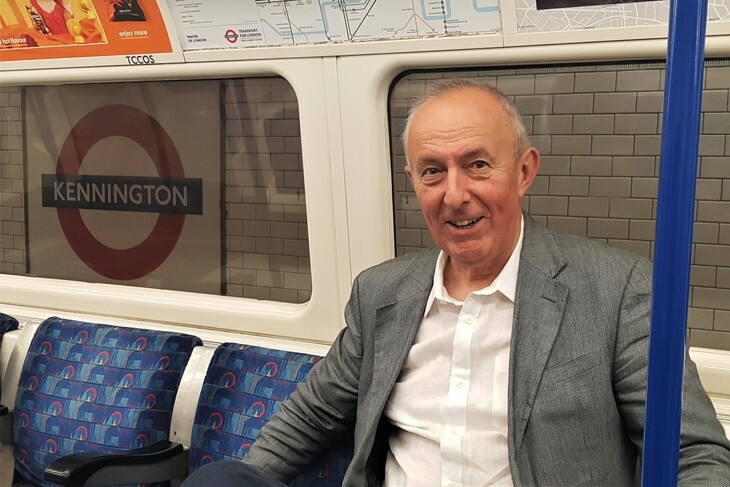 Thanks to the so-called Kennington Loop, it’s possible to miss your station – to nod off, to get lost in a podcast, or to simply be a useless gazelle with an upside-down tube map and an aeroplane neck cushion swinging from your backpack — but have another opportunity to take it just minutes later. The quirk is a result of the Northern line’s unique train-reversal strategy. Southbound services which terminate at Kennington do not disappear into some depot, in order to let the driver jump out and then jump back in at the rear cab to start a northbound journey. Instead, the train continues to head south after emptying itself of passengers, then performs a giant subterranean circle near the Oval cricket ground. Soon, it has doubled-back on itself and arrives in a northbound direction at — yep — Kennington. Hey presto: a southbound service has become a northbound one courtesy of the mother of all u-turns. We’ve found a slightly befuddled Jeff Parsons on the Loop one day. He’s a sort of Bill Murray in Groundhog Day. He’s arrived at Kennington once; he’s about to arrive there again. The confusion is enough to drive anyone round the bend. We can reassure Jeff he’s not the first person to accidentally take this particular ghost ride. Tube forums are filled with former drivers cackling at all the sleepy drunks spotted on the Loop who’ve had the fright of their lives on discovering that they’ve journeyed beyond the ‘end’ of the line. A chill invades the carriage as we two lost pilgrims grind through these semi-mythical tunnels – reputed by some to be haunted. Lights flicker, the automated tube voice-woman makes normally-unheard announcements, and the electronic display boards glitch on and off. Although riding the Kennington Loop is far from a Transport for London-approved practice (this bit of track is officially off-limits), it’s seen many a lost traveller like Jeff down the decades. 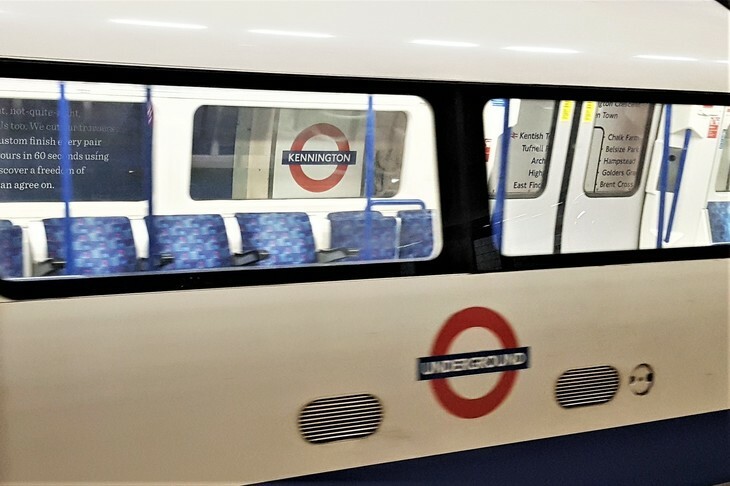 Plenty of ‘thrill’-seekers, too, have ridden it deliberately – though many say they’ve been thrown off by tube staff at Kennington before getting the chance. Others report getting a good heckling from the driver as they go round the Loop - for having apparently missed their stop. For all these reasons and more, the Loop has spawned a fan club, and even a risqué-sounding t-shirt. It could even save your purse or wallet one day. Left your valuables on a southbound service which has terminated at Kennington? Simply hop over to the northbound platform and wait for the self-same train to re-emerge from the tunnel, then retrieve them. There’s no doubt this is a nifty loophole. But the tube’s next chapter signals a partial closing of it. 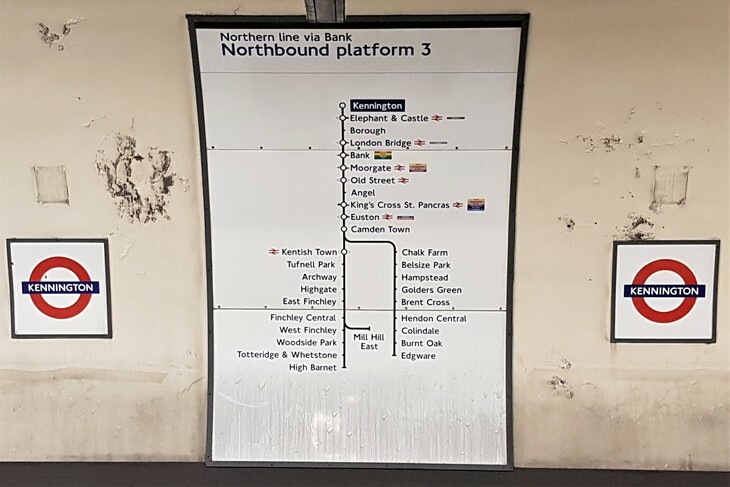 The Northern line extension, slated for a 2020 opening, adds two new stations beyond Kennington. TfL confirmed for us that the building work does have an impact on this bit of track. It's rumoured — although unconfirmed by TfL — that 24 trains per hour will come down the Charing Cross branch, 16 continuing to Battersea, while eight will terminate at Kennington and continue to turn round via the loop. While the news has dismayed tube nerds (and raised the value of aforementioned I’ve ridden the Kennington Loop t-shirt), it’s a relief to residents above the Loop who are aware of its rumblings. Indeed, the fandom is far from universal. One Northern line driver says he struggles to understand the Loop’s cult appeal. “A bit of track’s a bit of track,” says Andy Davison, matter-of-factly. ...Or more elusive than ever? Andy’s remarks say so much about how humans are capable of fetishising the unknown. The Kennington Loop excites many Londoners precisely because it’s off-limits. But to a man who has to sit inside this cold tunnel day after day waiting for green signals, it’s the dullest thing in the world. 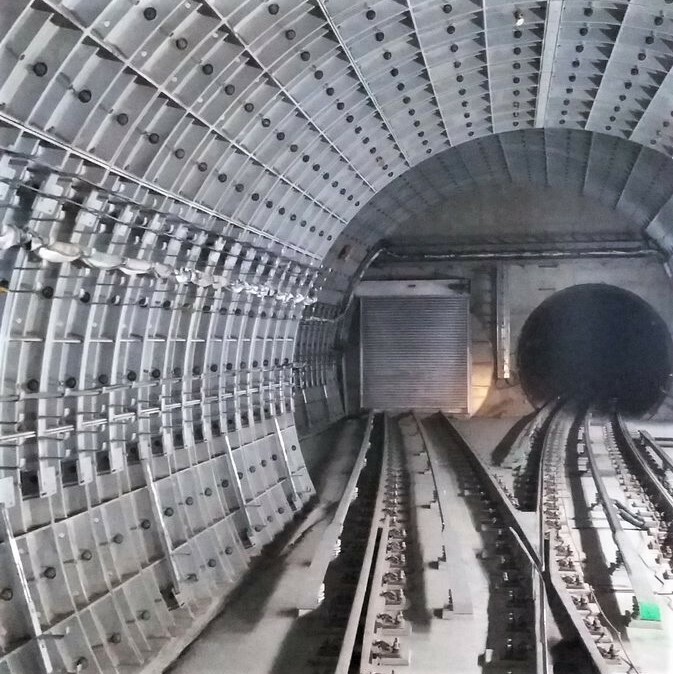 And forget the myth that the tunnel is haunted, says one engineer working on the Northern line extension. “It’s actually pretty new and fancy down there these days,” they tell us. They ask around, and nobody else down there has seen anything paranormal either. All things in life are potentially thrilling until you’ve actually tried them. All of London’s greatest delights are ravishingly desirable until you find yourself living next to them, and failing to visit them. In this city, it’s also possible to discard one old excitement in favour of the next at great speed. But the Underground survival game never seems to lose its edge. Simply getting on the Central line is a delicate Operation; attempting anything at all at Bank station is like navigating a Mousetrap. In the Kennington Loop, the player is confronted with a weird and unfathomable quirk – which building work is about to render all the more compelling and elusive. Find out what will happen to the Kennington Loop when the Northern line extension is complete, and what's so special about the new Northern line tunnels. What Would Happen If The Northern Line Split In Two? Northern Line Extension: When Will It Open, Where Will It Go, And Where Are The Stations? Does The Northern Line Extension To Battersea Mean The End Of The Kennington Loop?